We are proud to supply healthcare, schools and childcare facilities throughout Nova Scotia. 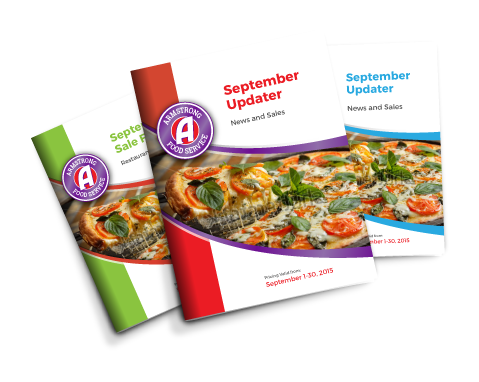 Our team is up to date on the latest industry trends and food policies to ensure that our customers receive reliable and valuable information to help make food planning and purchasing fast and convenient. We also have a dedicated healthcare and education specialist on-staff who understands the needs of these unique customer groups and is ready to help. Keep you in the Know. Find current news, information and product offerings in our Industry Updaters. Our School Updater will keep childcare and education industry professionals in the know, and our Healthcare Updater has the latest information for hospital, nursing home and other operators in the healthcare field. Don’t forget to check out our General Education Resources Updates as well. Right to your bottom line. We will make you a deal. 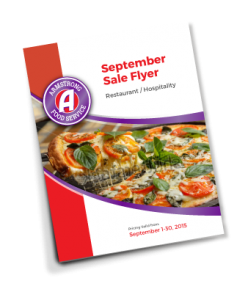 Every month, we will put together a sales flyer full of extra value and we will put it right here for you to view. Everything we offer. Everything you need. Feel free to review our product list.